Dr. Nalinda Jayatissa had a target in mind at a very young age. He entered politics amid opposition from his family for turning his back on the medical practice. “Young Voices from Diyawanna” features this parliamentarian who achieved much at a very young age. Dr. Jayatissa’s hometown is Agalawatte in the Kalutara district. He studied at C.W.W. Kannangara Central College, Mathugama up to his A/Ls. He was the head prefect. He was also the chairman of every student organization at the time. Dr. Jayatissa was also involved in sports and was a member of the school’s cricket team. He obtained best results at school in O/L as well as A/L. In 1998, he entered the University of Sri Jayawardenepura Medical Faculty and passed out in 2004. Jayatissa has held many titles during university days such as Student Union President and the Medical Faculty Students’ Action Committee Convener. After completing his degree, he joined the Fisheries Ministry as the private secretary to the deputy fisheries minister where he served from 2004 to 2005. He completed his internship at the Batticaloa teaching hospital and subsequently resigned from the service to contest at the Provincial Council election in 2009. In 1998, he joined the JVP’s Socialist Student Union and was the Socialist Students Union National Organizer. He had been in the Central Committee of the party since 2008. Dr. Jayatissa is nostalgic about his school days as it has given him the opportunity to enjoy some of the best of his days. “During 1994 – 1995, I was selected as the house captain. My ‘house’ had suffered defeat for 14 years, coming fourth and third place at the Inter House Sports Meet. But under my leadership, it came first,” he said. To Dr. Jayatissa, he is only as good as his party. He is thankful to his party for providing him with the encouragement, support and the necessary motivation. Courage is a quality he prizes above all other qualities. This is exactly what he asks of the youth. “The youth are the future. The youth must have a backbone and stand against injustice, inequality and suffering. Then they can open their minds and stand firm. We have a lot of educated youths who have passed out of our state universities, but they are not interested in politics. So if we want to develop this country, all these educated and dedicated youth should get together. 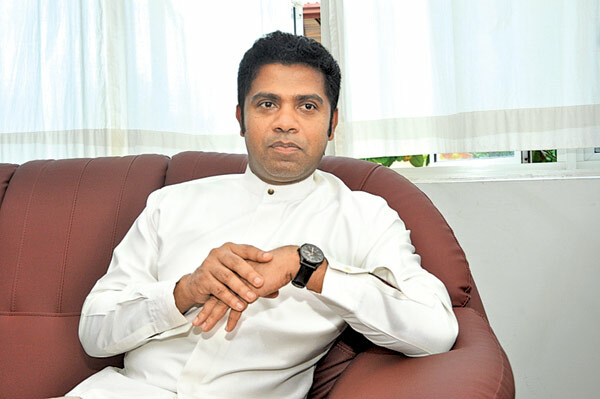 Dr. Jayatissa did not have his family’s blessings when he embarked on his political journey. 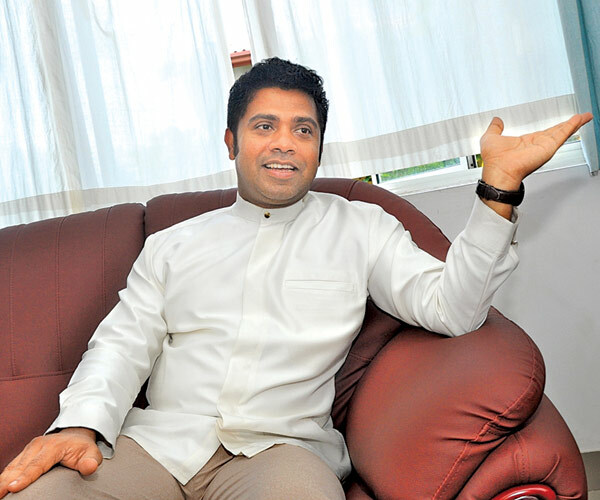 “When I entered politics from the JVP, most of my relatives and parents didn’t give me their consent. Among historical figures, Dr. Jayatissa has chosen to admire two because of their courage and conviction. “I admire V.I. Lenin. He overthrew the dictatorship of the Czar. He turned Soviet Russia into a very developed country. It was a backward agricultural society but he made a revolution. He was a simple man who was educated and he dedicated so much. He made the first socialist country in the world almost 100 years ago. Another leader I admire is Fidel Castro for the same reasons. He defeated the dictatorship of Batista. Before 1959, it was a very poor country but with the leadership of Castro, within three years Cuba defeated illiteracy. Dr. Jayatissa has identified the need for children’s abilities to be discovered. “They have no proper direction. They have to understand their skills and potential, and someone has to direct them by having discussions. We have to develop them according to their skills and potential. That is why we need professional guidance. This should start at the age of 12. We have to direct them from this age. Forming the SLFP and S.W.R.D Bandaranaike becoming Prime Minister. I usually read Sinhala novels and most recently I have read some of the prize winning books at the international book fair. These days I am reading some biographies. If I have time I play cricket and volleyball. There is a need for a common platform when it comes to language which will make things more expedient. The language barrier is a problem. We need a common language for the whole world. “I am totally against Lesbian, Gay, Bisexual and Transsexual (LGBT) rights. This is not the need of the human being. We need a future generation. Scientific experiments reveal this kind of emotions come out due to stress. When people go through stressful periods or are in such environments, unnatural feelings come out. For example, we do not see this behaviour when they are living in the wild. However, if they are caged, we would see this behaviour. I believe in marriage between man and woman.